To persevere isn’t to necessarily push as hard as you can until you have nothing left. Perseverance also involves celebration, rest, connection and spiritual nourishment. 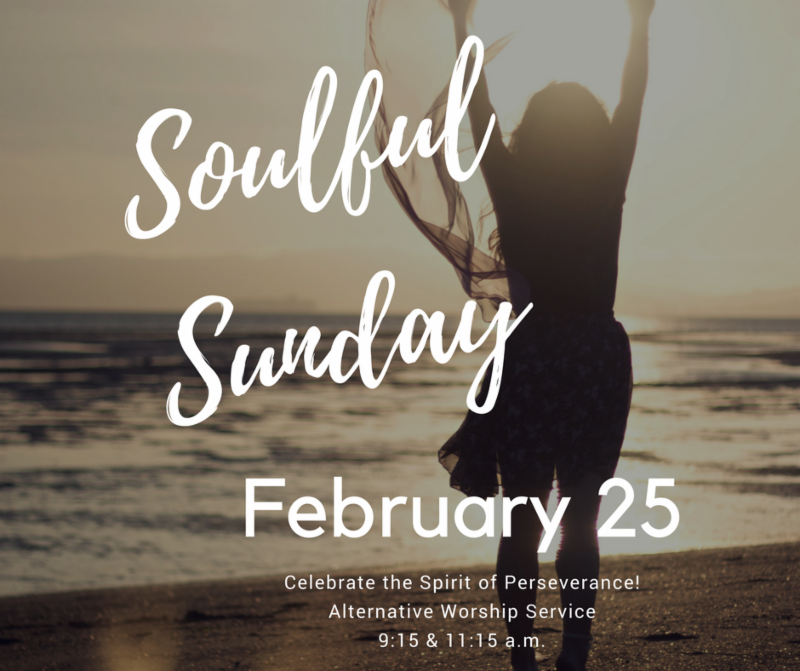 Join the Soulful Sundown worship team to explore our theme through music, poetry and reflection. We are asking, how can we stay connected to each other, to our community, and to our spiritual center to persevere in creating a world of welcome, justice, joy, and love? A world where we can shed a little light, use our own two hands to hold each other up when the world feels like it is falling apart.